Back in 2015 when Hyundai launched the Creta in India, the SUV was not a sub 4m offering and was much larger than the other compact SUVs like the EcoSport. It rivalled the likes of the Renault Duster and Nissan Terrano. While the other SUVs have not been an outright success, the Creta has been a serious volumes earner for Hyundai. The company might be aiming to maintain this lead with the launch of the 2018 Creta that is scheduled to arrive in May 2018 in India. 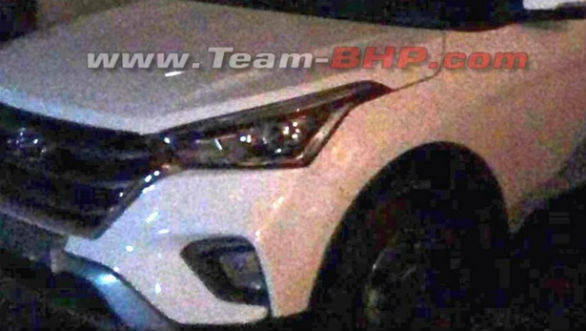 The 2018 Hyundai Creta was recently spotted at what looks like a TVC shoot, as reported by Team-BHP.com. 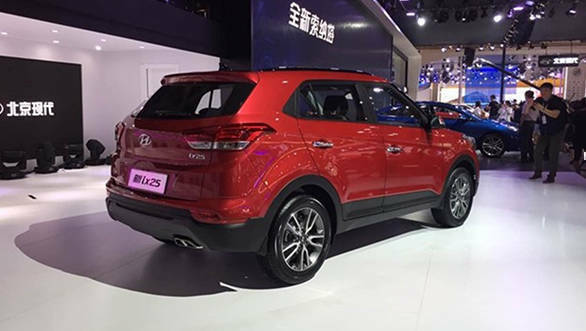 The image is a low resolution image but does highlight some of the design details of the 2018 Hyundai Creta. 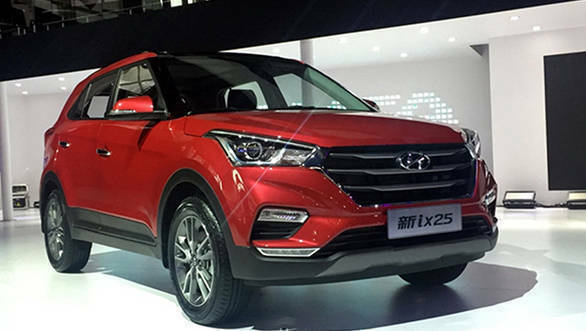 One can see the resemblance of the new Creta with that of the ix25 that was showcased at the Chengdu Auto Show in China. The bumper has been redesigned with flared contours below the headlamps while the grille is now bigger with a dark-chrome surround that makes it seem to extend to the headlamps. The headlamps have been revised and no longer house the DRLs. Instead, the DRLs have been now moved down and sit below the reshaped fog lamps. The bumper gets a faux bash plate too. Around the back there are slight changes made to the lights and bumper design. A noticeable one is the new dual tip exhaust pipe. The 2017 Hyundai ix25 is being sold with a 1.6-litre petrol. New to the range is a 1.4-litre turbo-petrol producing 140PS. On the mechanical front, we expect Hyundai to retain the same three engines as on the current generation Creta. These include the 1.6-litre VTVT petrol, 1.4-litre CRDi diesel, and 1.6-litre CRDi diesel.